s://jaelspeg.files.wordpress.com/2014/11/2014-08-22-18-11-04.jpg”> From the moment God made our world with those marvelous words,”Let there be light”, God has been invading our darkness with His Light and He has never stopped. Years after Adam and Noah, centuries later, God chose a people to carry His light. One day, He grabbed Abraham and pulled him into relationship, saying, “Go to the land I will show you.” In Canaan, on three different occasions, the Lord urges Abraham:”Look up at the heavens and count the stars–if indeed you can count them.” Then he said to him, “So shall your offspring be.”(Gen 15:5, 22:17,26:4). God plans to use His kids as His spectacular stars that shine and illuminate the darkness, a sign and a wonder as lights in darkness started back then and continue today. In ancient days, Daniel, standing tall as one of a few believers in a dark occult controlled kingdom understood his destiny to shine. He declared, “Those who are wise will shine like the brightness of the heavens, and those who lead many to righteousness, like the stars for ever and ever”. (Dan 12:3).Daniel declared God as worthy of worship in every situation and would not relent in his prayers despite deadly persecution. In turn, God shifted kingdoms, established the captives return and revealed end-time visions to His beloved servant. 2. the brass basin for washing. Inside the tabernacle, in the Holy Place, there were three key items:1. the table of the showbread, with twelve loaves of bread for the twelve tribes of Israel replaced daily 2. the table with incense trimmed and lit morning and evening and 3. the lampstand with pressed holy olive oil for fuel lit morning and evening.Inside the inner sanctum, the Holy of Holies there was 1. the ark of the covenant with the two cherubim which God said, “There, above the cover between the two cherubim that are over the ark of the Testimony, I will meet with you and give you all my commands for the Israelites.” (Exodus 25:22) 2. a jar of manna, as God commanded: “Take an omer of manna and keep it for the generations to come, so they can see the bread I gave you to eat in the desert when I brought you out of Egypt.’ ” (Exodus 16:32) 3. 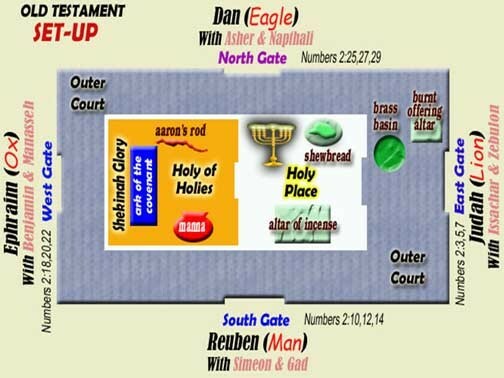 Aaron’s perpetually budding almond stick was also placed before the Testimony (Numbers 17:10) and 4.The Ten Commandments, two stone tablets scribed by God’s hand, were placed inside the ark (1 Kings 8:9). So why care about something established in the desert over four thousand years ago? Now when Jesus walked the earth, He taught His friends that He was the Light of the World (John 8:12). All our light comes from Him. Jesus taught us to pray “Our Father, who art in heaven, hallowed be Thy Name. Thy Kingdom come, Thy will be done, on earth, as it is in heaven.” (Luke 11:2). Remember the tent of meeting that Moses so carefully established at God’s command? 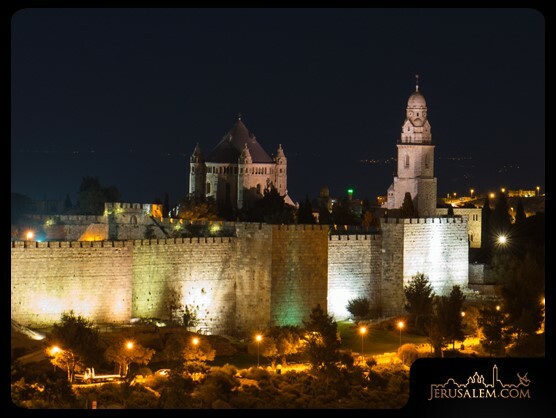 Inside the temple, the permanent tent established by David, then Solomon and then erected as a monument by Herod, in Jesus’ day, there still stood the lampstand, the incense, the showbread of heaven’s decree. 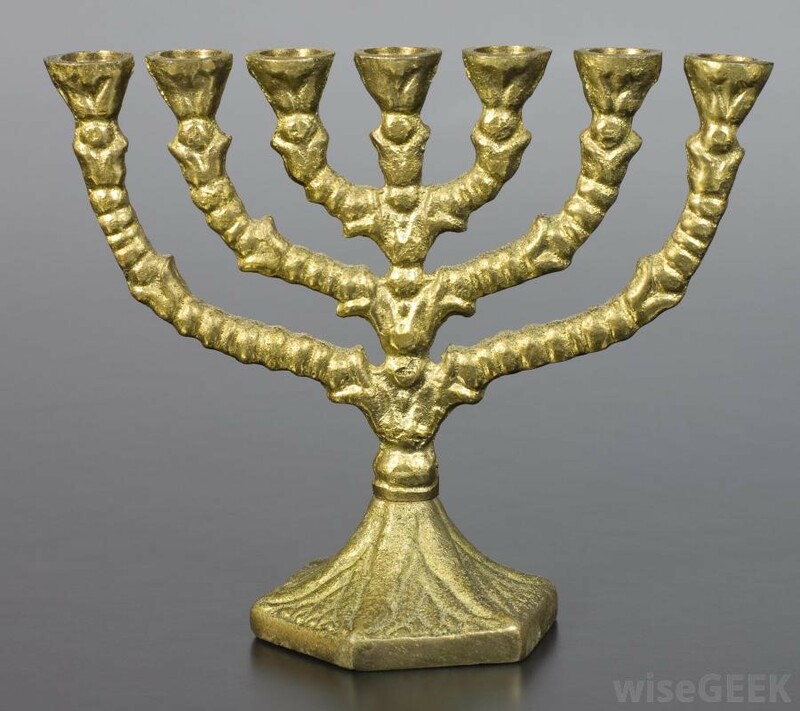 Both the holy menorah and the lampstand were practical items, like a flashlight is today, bringing illumination and sight to darkened places. In Jesus’ day, electricity had not been yet invented so the household oil lamp lit the whole house. The lamp had practical purpose, to bring light to dispel the darkness, to cook, to visit, to study, to celebrate, to live. The menorah stood as a reminder of our darkness without God who is Light. The menorah was tended daily, replenished with fuel as often as needed, a perpetual testimony of God with us, and us in God. Life flowed when the lampstand was lit. 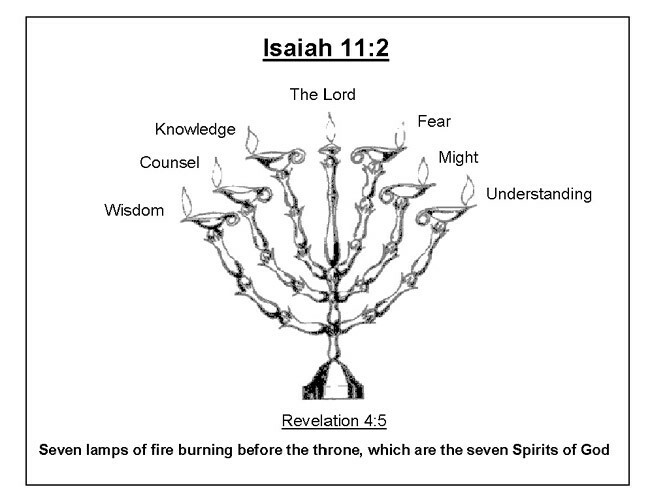 In that tent of meeting, the holy lampstand bore seven branches, representing the Holy Spirit. The lamp bore seven wicks which shone day and night. These wicks only shone if they had the fuel required, the holy oil, pressed olive oil, the symbol of Israel all through the scriptures. God our Father dreams about a people redeemed and full of Christ Jesus, fueled by His Spirit, burning with wisdom, counsel, knowledge, fear of God, might and understanding, burning 24/7 through Him, with Him and in Him, in the unity of the Holy Spirit for God’s glory. Therefore, my dear friends, as you have always obeyed–not only in my presence, but now much more in my absence–continue to work out your salvation with fear and trembling,for it is God who works in you to will and to act according to his good purpose.Do everything without complaining or arguing,so that you may become blameless and pure, children of God without fault in a crooked and depraved generation, in which you shine like stars in the universe as you hold out the word of life. Do you have the oil of God, the Holy Spirit to burn bright in the darkness? Or are you an empty lampstand, looking good but running on empty? Has your fire gone out, unnoticed in the well-lit church, an ancient lamp without oil? Then it’s time to be filled with the oil of God once more for to be light in the darkness and shine bright with love, to be of practical help and holy love for those in darkness, much oil is required. Holy Spirit of God, would you fill us again, as we draw near to Almighty God, that we may shine with love and become practical solutions in the dark around us? Lord Jesus, as we love you, as You have loved us, would your light of love burn through us?O Father God, may your Love abide in us as we abide in Christ! By your grace, make us burn bright in the darkness. O Father, send your Holy Spirit, that we may live as the holy spectacles You have always planned for us to be, the Stars who impact the world for Your Glory. May the convergence of the Holy Spirit and our desperate need to be filled now consume us, that we may burn for you, Almighty God and for the world You passionately love. 1. Steckoll, Solomon H., The gates of Jerusalem, Frederick A. Praeger, New York, 1968, preface.